Sweet MIDI Player is a MIDI player for not only auditioning all types of MIDI files, but for modifying the MIDI files themselves. Use its mixer-like interface to easily edit the control messages, transpose the music, change the tempo, mute desired MIDI channels, and save the end results to disk. View lyrics synchronized with the music (MIDI Karaoke files). It also includes a playlist function which allows you to create and manage playlists. Built in MIDI sound library with support for DLS/SF2 files. 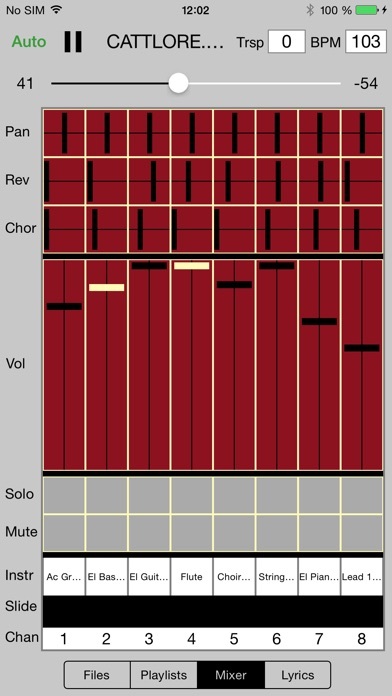 This free version is limited to play the first 3/4 of a MIDI file.